To make an exchange of currency, and transfer between banks, click on the scrolling rates. | To halt the currencies, just hover over the rate that you're interested in. FX-global currency exchange are providers of online currency exchange systems for retailers, importers or exporters. We offer a facility to install our systems into your own web site, so that your customers can pay you, or you can receive payments, in foreign currencies. 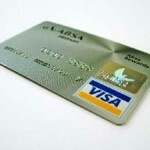 Your customers can use credit, or debit, cards. They can even opt to make a bank transfer to you. Every time your customers make a transaction, you can view the transaction notification. You can also view a full reconciliation of all trades made through your account online, with the additional facility to download the trades into a spreadsheet, for transfer into your own accounting system. Our systems are free to appropriately qualifying accounts. The main criteria is that we require a minimum level of trade in currency exchange value. Our systems couldn’t be easier. You don’t need to host anything. You don’t need to install any system. We simply supply a few lines of code, and our online currency exchange system will appear within your website. International schools & colleges, for students to pay their fees in their own currency. Real estate agents & Lawyers, for sending and receiving foreign currency. If you have a business that needs to exchange currency, or have customers who buy your goods / services using a foreign currency, then we will have a system to make your business operate more profitably.